So simple! 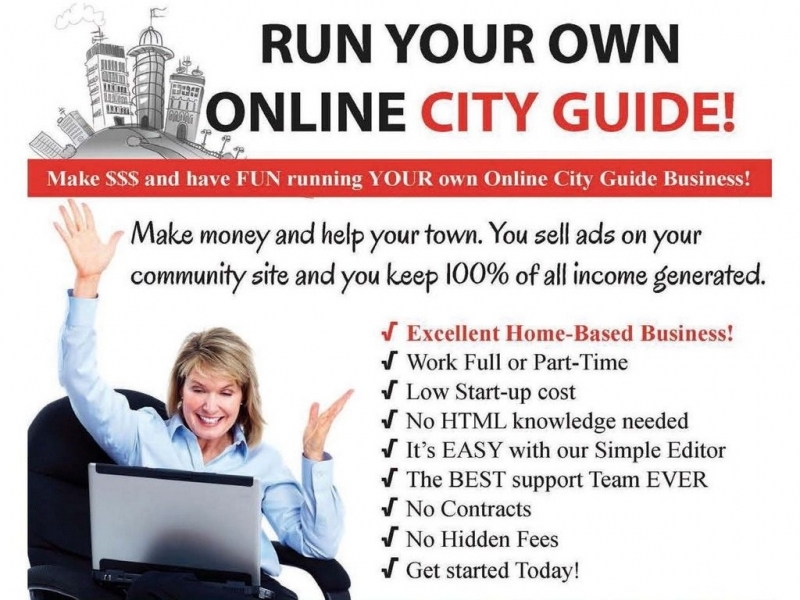 You sell ads to local businesses on your CityUSA City Guide website and you keep 100% of ALL your income! You can sell business listings, banner ads, real estate listings, and classified ads with photos - auto sales, employment ads, garage sales, articles, coupons and more. Work at your own pace. Work from home. Your website is so easy to update anyone can do it! If you can use Microsoft Word then you can use our easy online page editor. We even make you a custom header with photos of your city - just for you! Get started for only $49. YOU KEEP ALL YOUR SALES INCOME!!! We only lease ONE site per city. See if your city is available... go to http://cityusa.com and click the "get started" button.